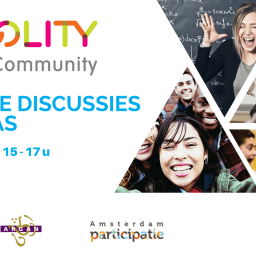 180 Amsterdammers is official partner of Schoolity. 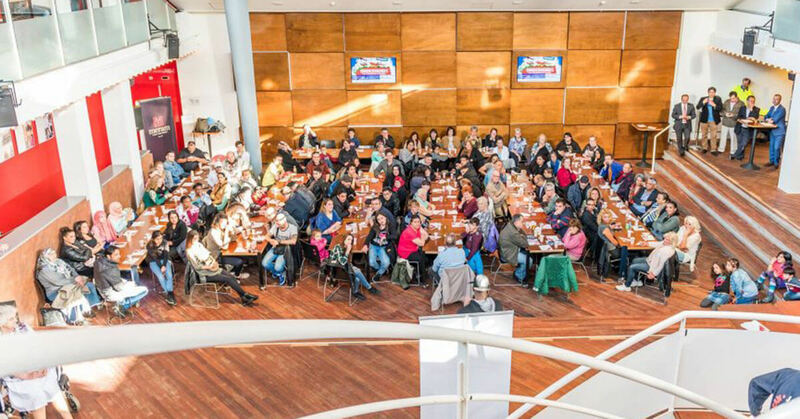 With this partnership 180 Amsterdammers wants to stimulate the dialogue between schools and their environment. Schoolity’s goal is to increase the partnership between schools and their environment for the development of a child’s school ‘career’. On Tuesday night, 28 March, Schoolity organised a dialogue meeting (together with UpCycle) with ‘sensitive discussions in the classroom’ as the topic. ‘One in nine teachers avoid sensisitive topcis!’, this headline appeared on the NOS (Dutcht Broadcast Foundation) on Wednesday, 1 February. Aparently many teachers are increasingly avoiding topics such as ‘terrorism, homesexuality, history of slavery and the political issues in Turkey and Russia’. The reason stated is because these topics often result in heated debates between students and teachers as well as among students themselves. According to the NOS, teachers that have stopped discussing these sensitive topics particularly point to the increased contrast that is experienced between Western and non-Western values. A serious cry for help that we must do something about. That’s why Schoolity organized the evening to start a dialgue with teachers, youth workers and students to start engaging with each other. As a teacher, should you avoid certain topics to avoid discussions? Is it really ‘bad’ that some discussions may escalate? What are the possible causes of tension during dialogues? Could teachers avoid heated discussions getting out of control by having the right ‘tools’? If yes what are those tools? What other parties (parents, youth workers, etc.) could contribute running discussions in the classroom more smoothly? The evening was very interesting and all present professionals gave valuable input. Visit www.schoolity.nl or http://facebook.com/schoolity to stay informed of the latest developments in this field.